Progress on reducing road deaths has stagnated since 2011, with 1,793 people killed on Britain’s roads in 2017, the highest number since 2011. If Great Britain had been on track to halve road deaths within this decade, in line with international targets, an extra 2,549 people would not have lost their lives between 2010 and 2017. 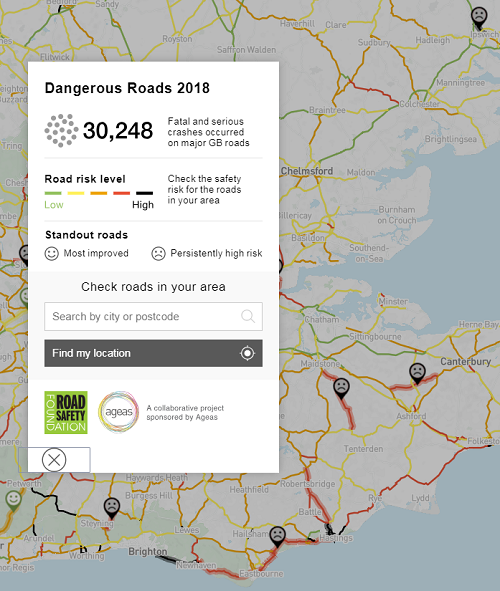 Explore the online 2018 Road Crash Map at www.dangerousroads.ageas.co.uk.